It’s a common practice this time of year to seek a new beginning and a chance to change things up in your life as the calendar changes to a new year. Making resolutions is a huge trending story after the winter holidays. However, all too often after a few days or weeks, those resolutions fall to the way side for any number of reasons. Some will get carried through to fruition, but others can be too overwhelming, too ambitious, or people just lose interest. And finally, many forgo making resolutions at all because they will not be achieved or feel they are simply setups to fail. An intention is the seed that has to sow. Intentions should always be positive. They need to be able to evolve and grow with changes, but they cannot be forced. If several people set the same intention, it will manifest differently for each person due to the individuality of intentions. Gratitude is an important part of setting intentions. It’s vital to understand what fulfills you, what makes you happy, and what you are truly grateful for. The focus on gratitude will drive your intentions and make you stay accountable for your intentions and outcomes. These are not always tangible, material things, but quite often they are feelings, ideas, and achievements. 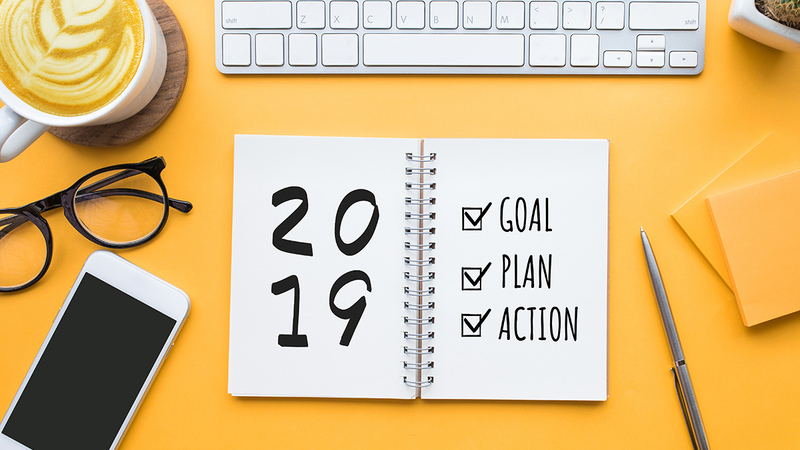 Resolutions are often very vague and with lofty goals which may indeed have very valuable focus and ideas, but may be very difficult to achieve and often do set you up for failure. Breaking these ideas down in to realistic steps and goals involves setting intentions and finding the power to change your life. Nurses are naturals at setting intentions. Setting intentions usually comes from problem solving or finding another way to accomplish something. Utilizing the Nursing Process is a natural way to set intentions and see them through. Assess the situation and determine what needs to be done or achieved. Make a plan to achieve the outcomes or goals and implement it. Reassess the situation after implementing the Plan, and finally, Evaluate the new situation. Were the goals met? Does the situation require changing anything to make the outcome better or is it working well? The more specific your intentions become, the better the intentions will be, and the outcomes will provide more gratitude. Break them down even further and get the root of the problem. For instance, feeling bullied and generally pushed around at work can be a part of stop taking things personally. Make a positive intention to genuinely listen to all constructive criticism and seek answers to problems by involving those co-workers. However, don’t allow yourself to take on the responsibility for all that may wrong with a situation. Find the good in the people and the situations and emphasize it. Expand on it. Turn it around on the perpetrators and make them smile every day. If not, at least, forgive them. That will take their power away. Seek knowledge. Use your continuing education units to seek improved problem-solving skills, learn something new to improve the lives of your patients, and set an intention to find a new way to deal with conflict at work every week. Instead of making vague Resolutions this new year such as to lose weight, exercise more, or get healthier, set an intention to make new intentions each month or week or even every day to do something to improve your work-life balance, to find the good in all that happens to you, or to learn something new to change your career path. Set intentions for your own health and well-being for instance, by breaking down the weight loss goals. Do you need to reduce or cut out sugar or carbs? Make a plan to reduce them by percentages week by week. Do you need to exercise more? Set a daily intention for what you will do that day. Plan your day with that decision incorporated. Don’t forget to evaluate your success and change what isn’t working. Be honest and frank with yourself. Set an intention to reward yourself at specific milestones and to honestly review your progress. Be accountable to yourself, and if necessary, be accountable to a friend. Another good intention is to learn to lead by example. Who are your followers? Your co-workers? Your patients? Your family and friends? They could even be your followers through your blog or social media or podcasts. What do they need from you? Make a daily intention to help provide it to them. And show them how to do this for themselves by watching you and seeing your successes. By breaking things down and setting specific intentions, you set up the plan for success and not failure. You open yourself up to new possibilities every day and you can record your progress and success in short intervals. You’re not setting yourself up to fail because you’re avoiding the procrastination process and paralysis it can cause. Living in the present and focusing on the here and now doesn’t allow you to build in excuses either. It keeps you moving in the right direction and achieving your goals. Setting intentions is also a great way to help educate your patients to set and realize patient-centered goals for their health care and outcomes. For instance, as they learn new dietary regimes, medication routines, exercise, and other treatment modalities, breakdown the knowledge deficits and set intentions to learn these new habits. Have them set an intention for short periods of time and realize their successes and achievements as they progress. The positive reinforcement will help them to stick with their new methods, create new habits, and improve their outcomes. It will also help them learn to transfer the process to new goals as needed.